I received this in the mail from a reader and thought it good enough to share. 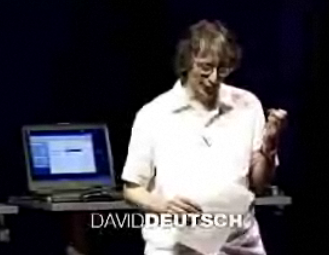 A really awe-inspiring TED talk by David Deutsch is also really discouraging and disappointing. The mantle of lovable old coot of liberal persuasion who thinks global warming is hooey has been passed to a new old generation.